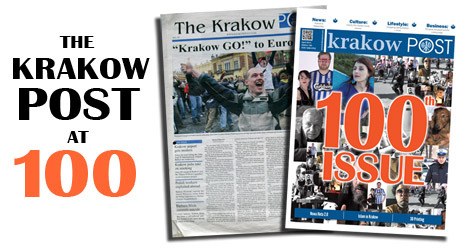 The first issue of the Krakow Post was published on May 10, 2007 – five years and 11 months ago. If you’re quick with maths, you’re probably wondering how a monthly publication managed 100 issues in less than six years – the answer, the Krakow Post was originally weekly. Krakow and Poland have changed a lot over the past six years, and the Krakow Post has changed with them. In May 2007, Lech Kaczyński was in the second year of his term as president, Poland had been in the EU for just three years, Galeria Krakowska had been open for less than a year and major sights we are all familiar with today, such as MOCAK, the Rynek Underground Museum and the pedestrian foot bridge were still gleams in the eyes of their designers. Originally published by Jargon Media sp. z o.o., the Krakow Post was acquired by Lifeboat Ltd. in early 2008. Under Editor-in-Chief Anna Spysz and Culture Editor Nick Hodge, the Krakow Post blossomed into an indispensable source of both local news and information about the city’s social and cultural scene. The paper also made the move to glossy, full colour, but remained free to its readers, as it does to this day. I took over as Managing Editor in January 2011 and, 25 issues later, I’m still in the big chair. In November 2012, Krakow Media began publishing the Krakow Post under license from Lifeboat Ltd. The first issue of this new era brought another shift in the look and feel of the Krakow Post as we moved to a smaller, magazine format and added eight pages inside. Hundreds of readers attended the party we held to mark this re-launch, and a quick survey revealed they represented more than 40 nationalities – proof that the need for an English-language publication serving the foreign community in Krakow is greater than ever. I would like to thank everyone who reads the Krakow Post, comments on our stories, and brings us ideas for stories. I would also like to call the dozens of people who have helped create the Krakow Post over the past six years onto the metaphorical stage for an encore. A special mention must go to Grażyna Zawada, an excellent investigative journalist who has been writing for the Krakow Post since the very first issue and who has a major story in this, the one hundredth. The biggest round of applause of all must go to the companies and institutions that recognise the value of advertising with us – without them, the Krakow Post could not exist at all. The lead story in the first issue of the Krakow Post was one that was to roll for years to come. A full five years before the championships were due to begin, Krakow was both eyeing the rewards of having the Euro 2012 circus in town, and wondering if it wanted football fans roaming the streets. The feverish dreams of football fanatics did not come to pass – Krakow was not promoted to a host city. The reality turned out to be perhaps better than many expected. The England, Dutch and Italian teams all based themselves in the city for the duration of the tournament, and the wags and journalists came with them. Despite early fears that the football would discourage other visitors, Krakow received a record number of guests in 2012 – 8.9 million. The Krakow Post gained some notoriety by publishing a light-hearted guide to staying safe and legal in the city during the tournament. Our references to police dogs trained to bite rioters directly in the testicles and sonic anti-riot weapons splashed across the UK and world media. Jonathan Ornstein of the Jewish Community Centre became involved in a furious row with the BBC after they used an interview with him in a documentary about right-wing extremism among Polish and Ukrainian fans. The Krakow Post’s editorial about the documentary, called Euro 2012: Stadiums of Hate, has since attracted almost 300 lengthy comments. It’s not often that the phrase ‘Public Prosecutor’s Office’ is associated with the activities of archeologists, but then it’s not often that archeologists get to poke around under a UNESCO World Heritage Site. 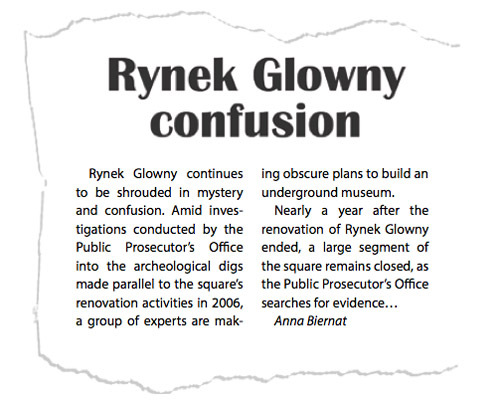 As the page 11 story went on to explain, the problem arose when Małopolska building inspectors decided that the body responsible for renovating the square, the Krakow Roads Directorate, had allowed archeologists to dig too deeply into the walls of chambers buried beneath the square. The temptation must have been immense – who knows what you might find in a centuries-old chamber beneath what was one of Europe’s richest trading halls. Now that it’s there, it is easy to forget how extraordinary the idea of an underground museum sounded when we first heard about it. According to the Krakow Post story, a ‘group of experts’ were working on the idea as early as February 2007. The Rynek Undeground Museum finally opened more than three years later, in September 2010, and has proved a massive hit with both locals and visitors. It has an area of 6,000 square metres and lies four metres beneath the surface of the modern Rynek. The project was completed at a cost of 38 million zloty. 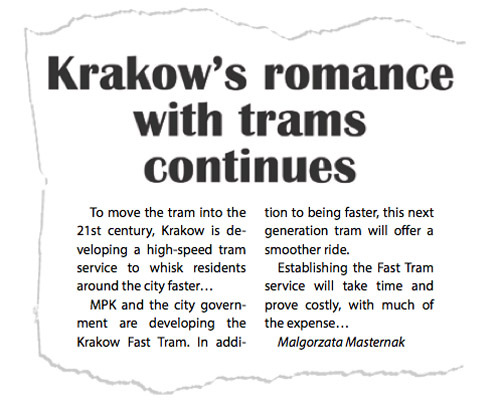 The story of Krakow’s fast trams is a long one. Work on the tunnel that now takes trams running on lines 50 and 51 under the main railway station began way back in 1974. By 1989, engineers had only managed to dig 180 metres, presumably using tea spoons. The political and economic upheaval of the early 1990s put a stop to even this snail’s-pace progress. The early plan had been for a full-blown metro system, like Warsaw’s. Changing ideas and economic realities saw the project reborn in 1994 as a light-rail link. A further 600 metres of tunnel were dug beneath ul. Lubomirskiego by 1999. Phase One of the project was almost completed when this article appeared in the Krakow Post. The 1.4km-long tunnel that carries the line from Rondo Mogilskie to the north side of the railway station finally opened in December 2008, a mere 34 years after it was started. Of course the date in the second paragraph should have been ‘May 2007,’ the month when the first issue was published (now corrected). Thanks for pointing out the error.